I consider myself to be a foundation fiend. 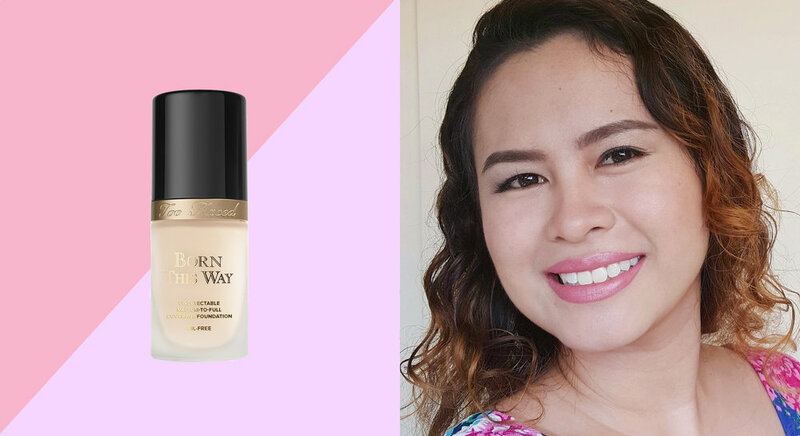 As a girl with very oily skin and crazy work hours, only the most long-wearing of foundations stand a chance of making it through my typical day. I don’t feel that I need full coverage but I've found that the two qualities - long wear and opacity - usually go hand-in-hand. ...But sometimes coverage is nice. Why liquid, though? Why not other types of foundation? Powder foundations can’t hold as much pigment as liquid, so they can only cover so much. On the other hand, stick and pan foundations, while they really do take the cake on full coverage, tend to slide off the face more easily thanks to its creamy texture, so they are more suitable for drier skin types. Given all the considerations above, my weapon of choice is liquid foundation. Not everyone has the same needs as mine, of course, but whether you decide to use it regularly or just for special events, everyone can benefit from having at least one full coverage foundation in their kit. So here are my top choices for liquid foundations that can hide all your deepest, darkest secrets - no need for concealer! I’m on my second bottle of this, and almost down to the last drop. This is my favorite everyday foundation because I find the texture of the liquid easier to work with compared to other full coverage liquid foundations. I apply this with a Beauty Blender or an oval brush to get a flawless, demi-matte finish. It’s oil-free, too, which is great for oily skin! It lasts 5 to 7 hours on me (depending on the weather) but do note that my skin is extremely oily so staying power can actually be longer if you have normal skin. This foundation means business with a formulation that's 21% pigment, 22% water, and zero oils. It's suitable for all skin types, and a little goes a long way with this foundation. For such a highly pigmented foundation, it’s still pretty creamy and easy to blend. This dries off with a more satiny finish, which is great for those who don’t really want a matte look. It lasts 6 to 8 hours on my oily skin. This foundation is described as having medium-to-full coverage. My favorite way to apply this is with an oval brush because I find that I can easily get full coverage that still looks like skin. This is also oil-free; it features has a lot of nourishing ingredients such as coconut water and hyaluronic acid, making it ideal for all skin types. At 4 to 6 hours of wear-time, this is the least long-wearing on me but I think the performance is still pretty impressive for it to have survived as long as it did. When they say "lock it", they mean it! This stuff stays on like cement. Another foundation that is 21% pigment, I just need half a pea size for my whole face and it will cover everything it touches. Because the texture is quite thick, I find that the only way I can spread this on my face is with a wet Beauty Blender. It dries to a semi-matte finish. Although it is oil-free, it has loads of silicone, so those who are sensitive to the ingredient should be wary. I was able to wear this for 8 to 10 hours! The longevity is super impressive considering my oily skin. This formula is truly remarkable: the tiniest dot is enough to cover my entire face, so I can’t imagine how long it will take me to use up an entire bottle. The texture is also very thick and I find that it works best with a damp Beauty Blender and dries to a semi-matte finish. It also has 21% pigment, is oil-free, and is silicone-based. It’s most suitable for people with normal to oily skin. Dry skin types should beware as this barely has any water in it. It clocks it at a very decent 7 to 9 hours. Do you use full coverage foundation? What are your favorites? Dress for the holidays with the Barbie Loves Plains & Prints Collection!